Roofing issues related to condensation often occur during the colder seasons. When left unchecked, it can do serious damage to the roof and even the rest of your home. To prevent condensation, it’s important to know what actually causes it. 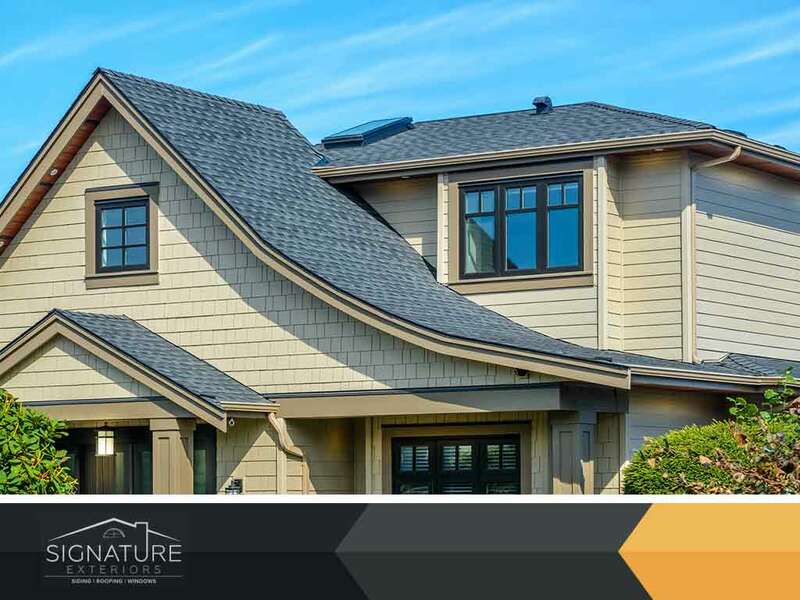 In this first part of our two-part blog, Signature Exteriors, your roof and vinyl siding experts, discusses how roof condensation forms and how it affects the roof. Water vapor in the air, once it makes contact with a cold surface, turns into a liquid. This process is called condensation and occurs when there’s a sudden drop in temperature. Roof condensation is a common problem for roofs that are considered naturally cool, such as asphalt, metal and the sundry single ply membranes for flat roofs. Another important thing to know about condensation is dew point. This refers to the specific temperature at a given level of humidity when the water vapor condenses into a liquid. Simply put, the dew point is the amount of water vapor in the air as well as the general temperature. The higher the dew point, the more likely the roof will experience condensation. Excess condensation is bad for the roof and can further aggravate existing problems. Water vapor that becomes a liquid on the surface of the roof will do continuous damage to the structure. This is very dangerous for flat and low-slope roofs as they don’t shed water and moisture as effective as steep roofs. More often than not, the condensation also affects the parts of the house close to the roof. These include the attic, siding, and the windows. Condensation is especially dangerous if it develops on the more vulnerable parts of the roof, such as the valleys, fascia, and soffit as these parts are more susceptible to moisture damage and rot easily. Now that you know what causes roof condensation and how it affects the structure, you’re now one step closer to preventing it from happening. In the second part of this two-part blog, we’ll discuss how installing the right roof vents prevent condensation from happening in the first place. Signature Exteriors is ready to assist you with your roof and vinyl siding needs. Call us today at (866) 244-8029 to learn more about our services. We are a CT roof and siding company serving homeowners throughout Connecticut.